Provide quality foods that are safe and nutritious to Georgia’s students. Support agriculture by strengthening local markets. Make students aware of the origins of foods they enjoy. Reduce the carbon footprint of foods utilized. The 2020 Vision was launched in late 2015 with this initiative aim: By the start of the 2020 school year, at least 20% of the required menu components for the student meal will be comprised of Georgia grown products. In addition, at least 20% of the schools in Georgia will be challenged to have at least 50% of the required menu components for the student meal comprised of Georgia grown products. Shake It Up in School Nutrition is a new state-wide initiative to enhance the flavor of school meals and improve the perception of Georgia School Nutrition programs. Schools can Shake It Up by increasing the amount of GA grown and Farm to School products used in their meals. 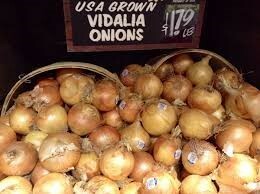 The local foods movement is big and schools can enhance flavor and improve perception by using more Georgia products. What does achieving the 2020 Vision look like? 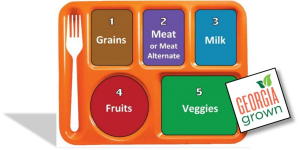 The school meal program meal pattern is made up of five components, meat/meat alternate, grain, fruit, vegetable, and milk. If a school nutrition program has a Georgia grown product as a choice for one component, 20% of the menu components are Georgia grown, and students are reaping the benefits of the 2020 Vision. 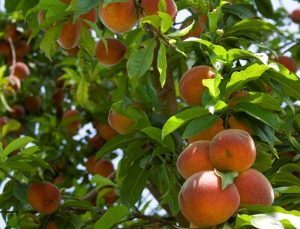 What are Georgia grown products? 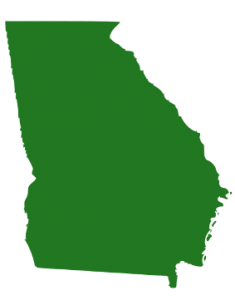 Agriculture is Georgia’s number one industry, contributing 74 billion dollars to the state’s economy. 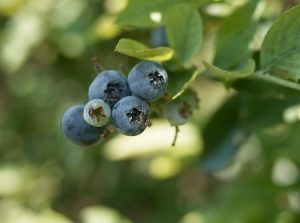 Our state has a favorable climate and long growing seasons to produce an abundance of agriculture products. Georgia produces fruits, vegetables, poultry and eggs, livestock, nuts, and more; and is a top producer of blueberries, peanuts, pecans, cucumbers, watermelon, spring onions, and peaches. For data on production value rankings, check out the 2018 Ag Snapshots (2016 data). Georgia grown products are 1) non-processed agriculture products grown in Georgia, and 2) agriculture value-added products that are processed in Georgia. Examples of value-added products are jams/jellies, barbeque sauce and salad dressing. Farm to School programs provide a multitude of benefits to students, farmers, schools and the community. Students learn about where their food comes from, are provided with fresh, locally grown food choices and nutrition education related to those foods, and in some cases have opportunities to meet the farmers that grow those local foods. Farmers experience new or expanding market opportunities for their agriculture products. The 2020 Vision enhances and supports the efforts of the School Nutrition Program and promotes a positive perception of school nutrition programs. Purchasing Georgia grown products supports the local economy and keeps money circulating in Georgia. A farm to school program and the 2020 Vision for School Nutrition provide a link from the agriculture community to schools. Georgia Grown – This promotional program from the Georgia Department of Agriculture includes an online searchable database that features (but is not limited to): Seasonal crops; producers, farmers markets and agritourism activities; wholesalers, distributors, packers, and other products, businesses and agriculture related services. Decision Tree: How Will You Bring Local Foods into the Cafeteria with Your Next Food Purchase? Review this fact sheet from USDA that presents options for including your desire for local foods in the procurement process. 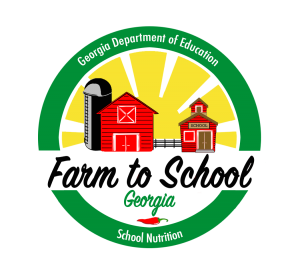 Feed My School for a Week – From the Georgia Department of Agriculture, the Feed My School for a Week Initiative increases farm to cafeteria options for Georgia schools, and helps districts build their farm to school programs. Food Processing Industry Report– a report on food processors in the state of Georgia, from Georgia Power Community and Economic Development. 2018 Ag Snapshots – a publication of 2016 data from the University of Georgia Center for Agribusiness and Economic Development; it provides a brief overview of Georgia’s Agriculture Industry.